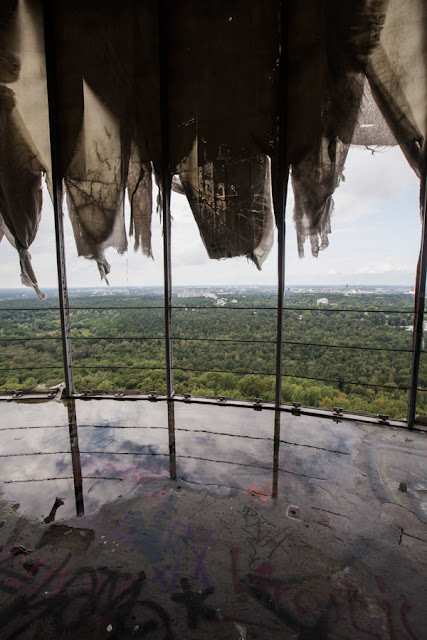 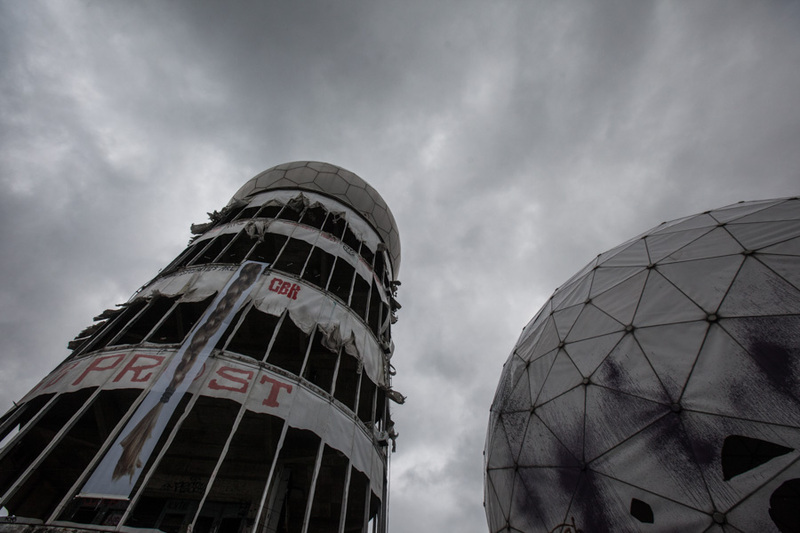 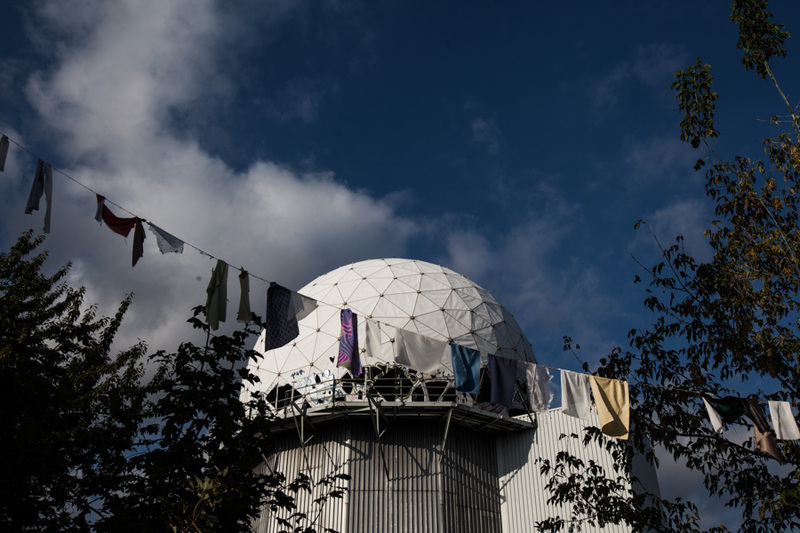 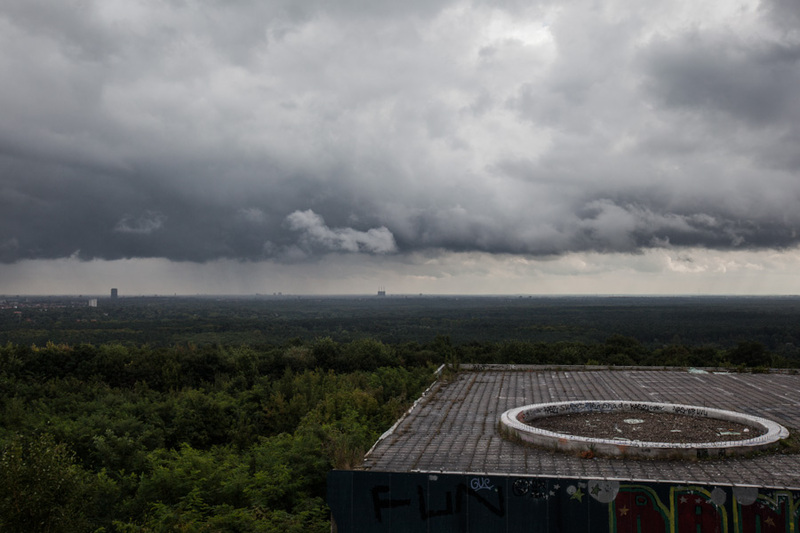 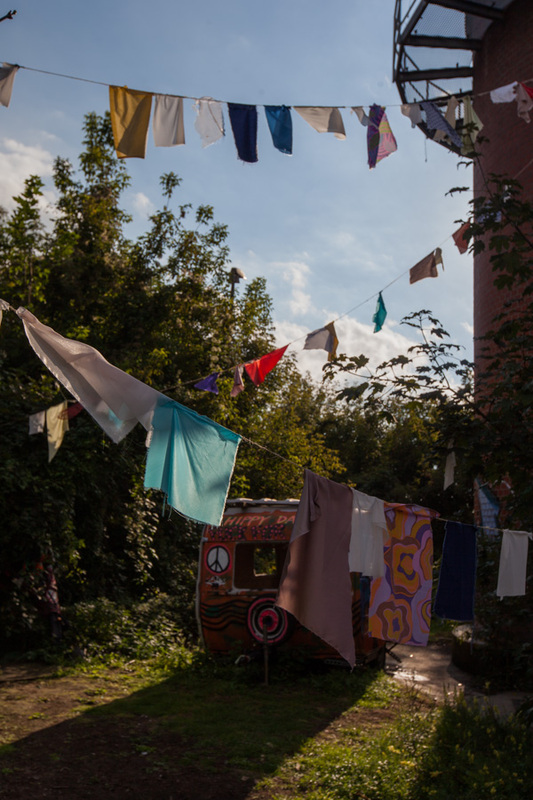 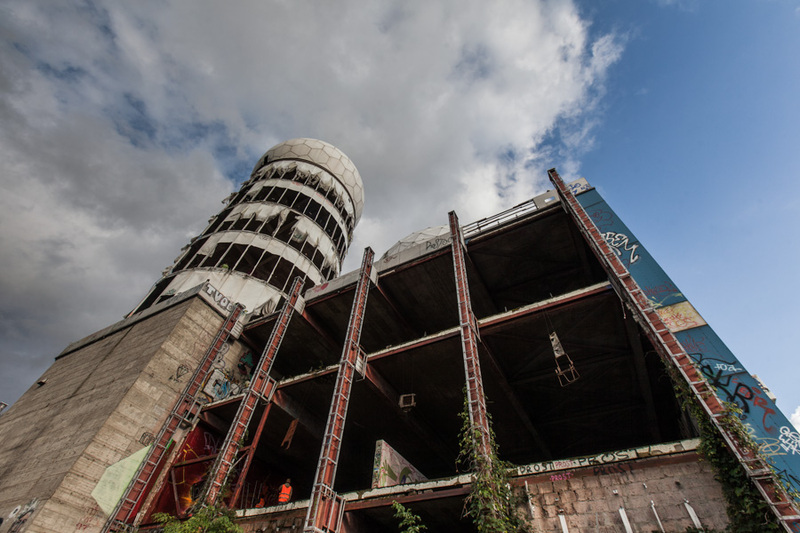 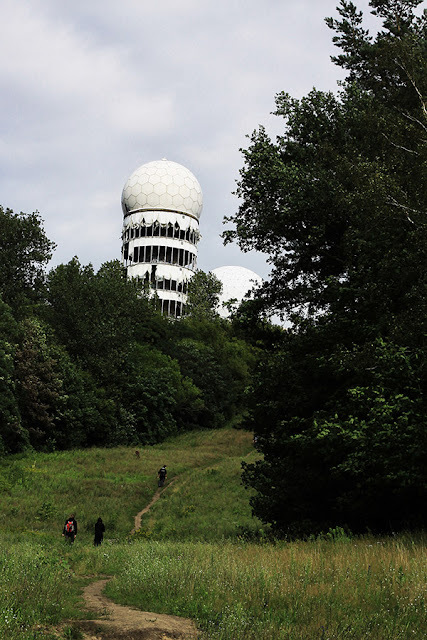 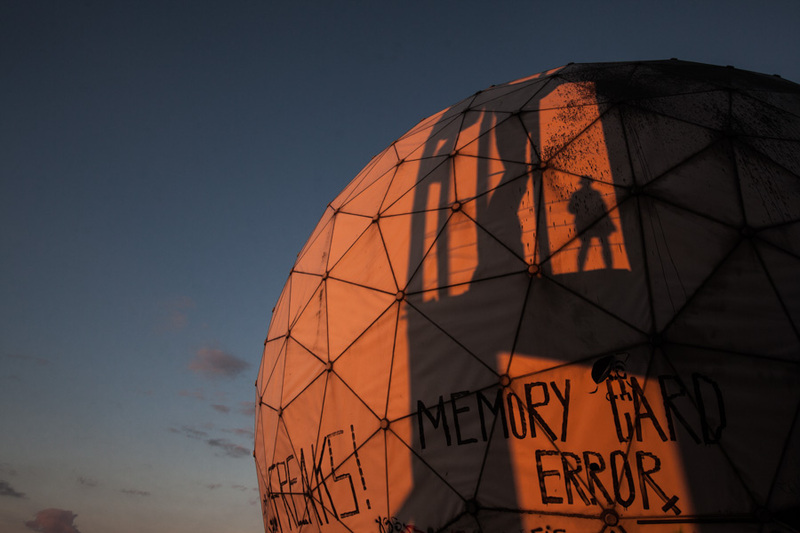 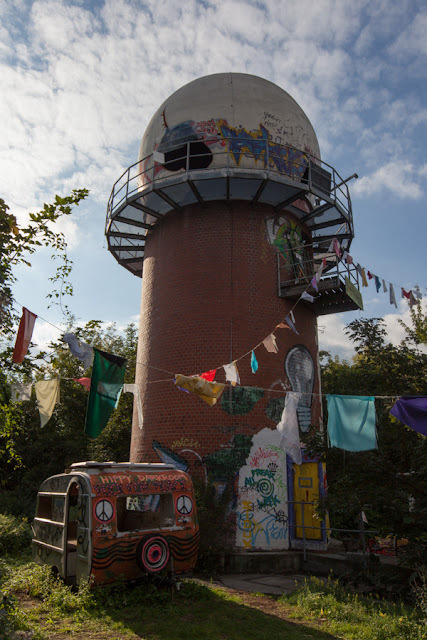 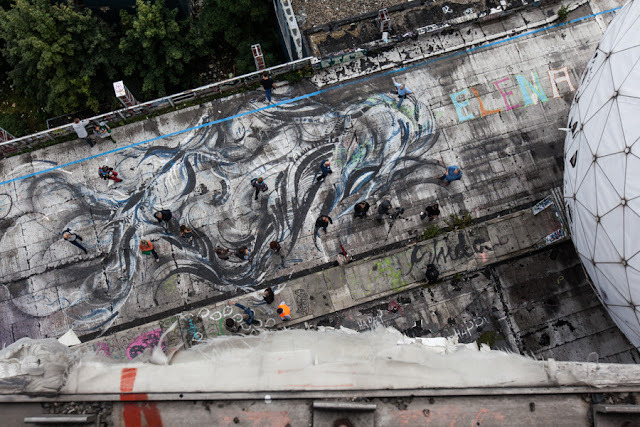 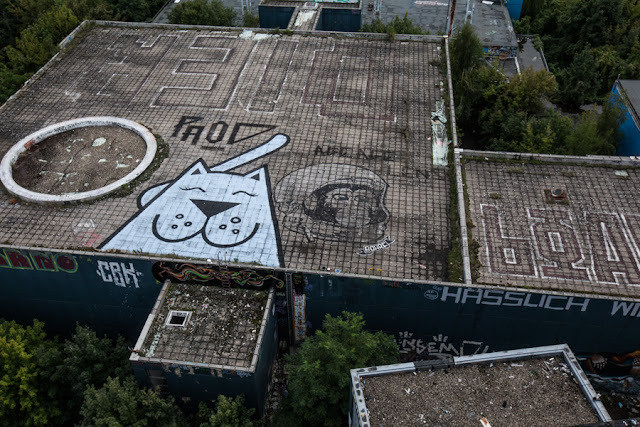 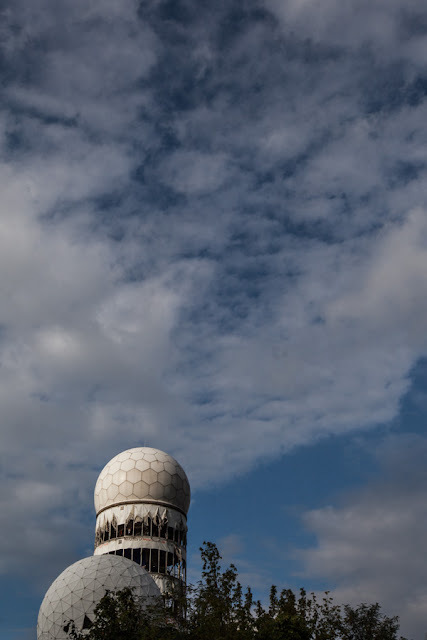 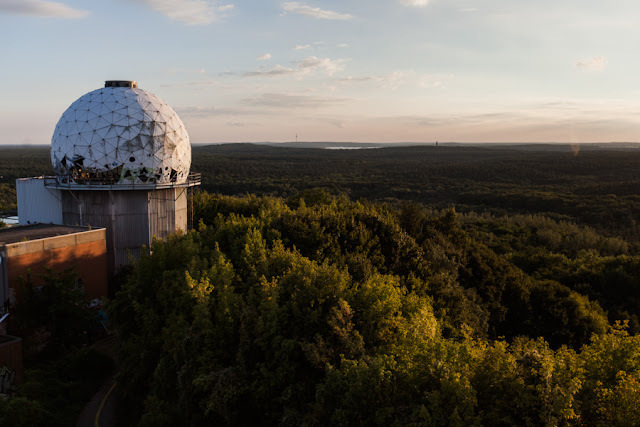 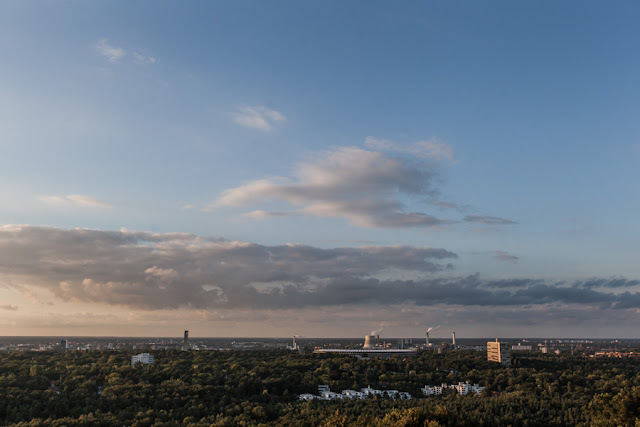 Teufelsberg (German for Devil's Mountain) is an artificial hill in the Grunewald locality of former West Berlin. 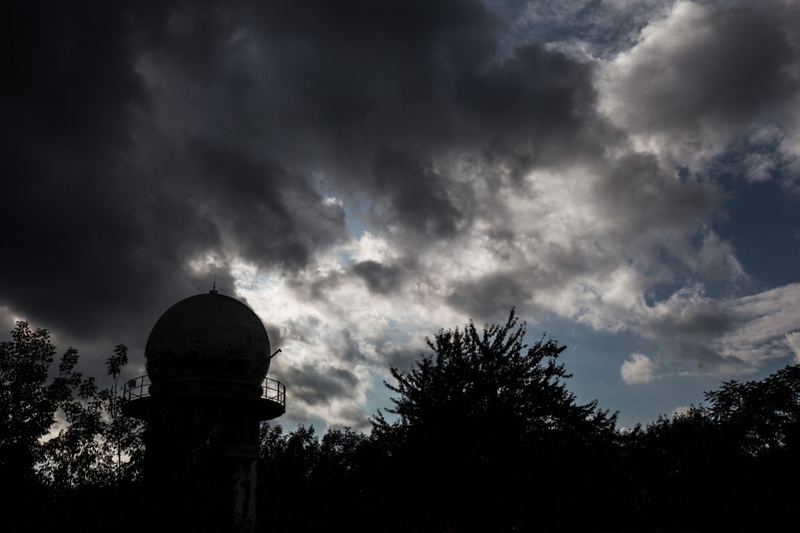 It rises about 80 metres above the surrounding Brandenburg plain and it was bulit with part of the rubble of Berlin from the WWII. 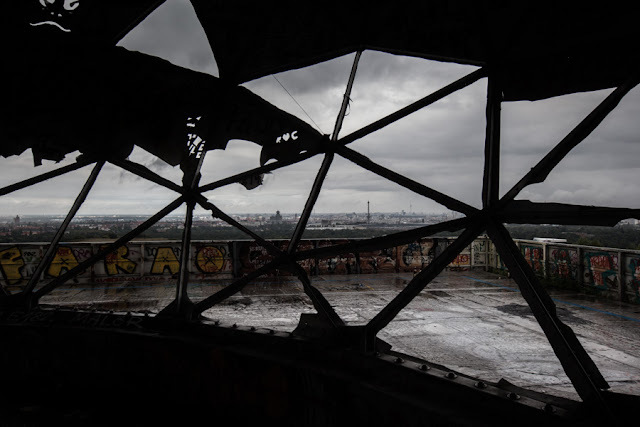 Under the debris there's the never completed Nazi military-technical college (Wehrtechnische Fakultät) designed by Albert Speer. The Allies tried using explosives to demolish the school, but it was so sturdy that covering it with debris turned out to be easier. 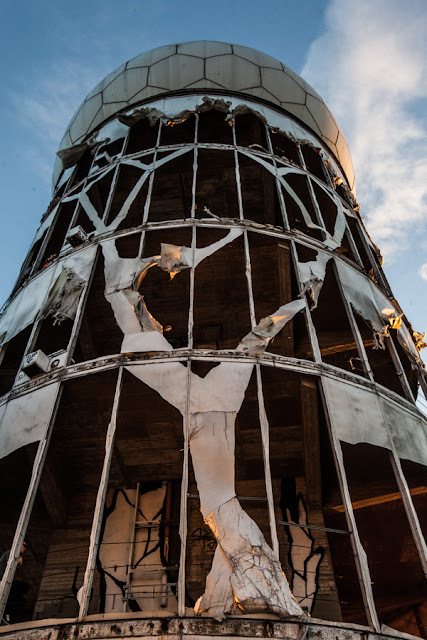 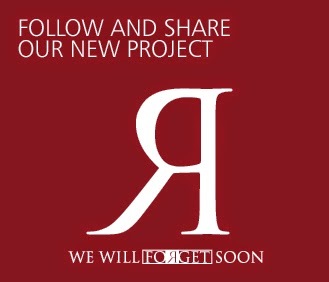 It is famous for its abandoned US. 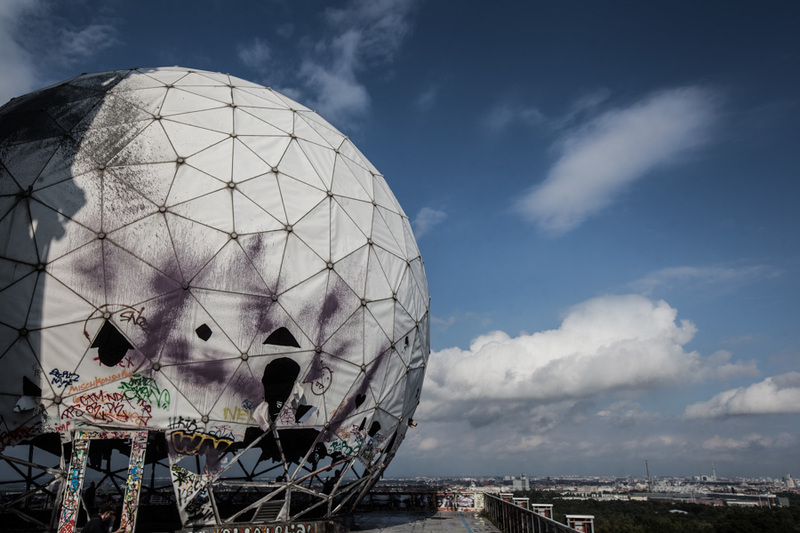 Listening station (rumored to be part of the global ECHELON intelligence gathering network). 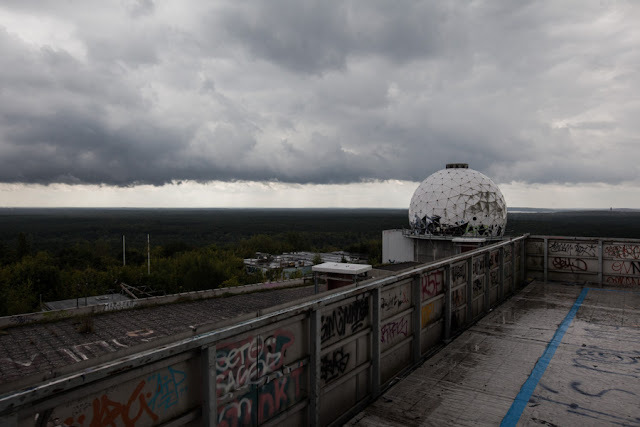 The station continued to operate until the fall of East Germany and the Berlin Wall, but after that the station was closed and the equipment removed. 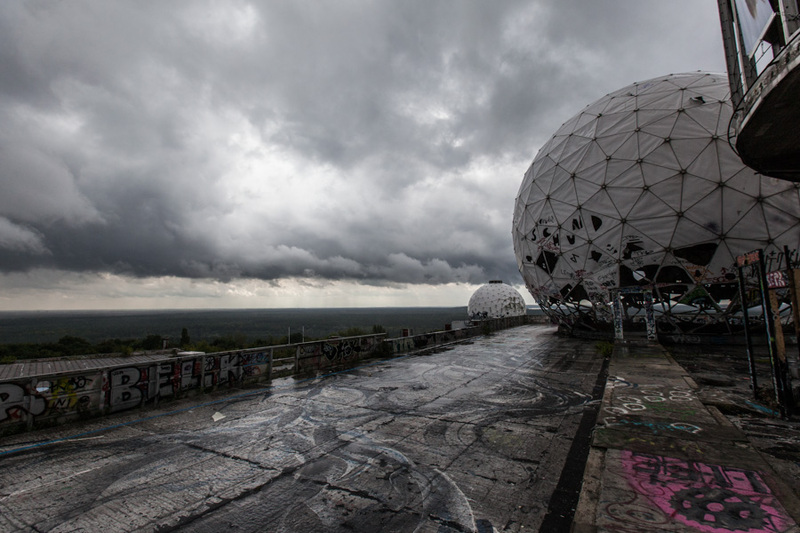 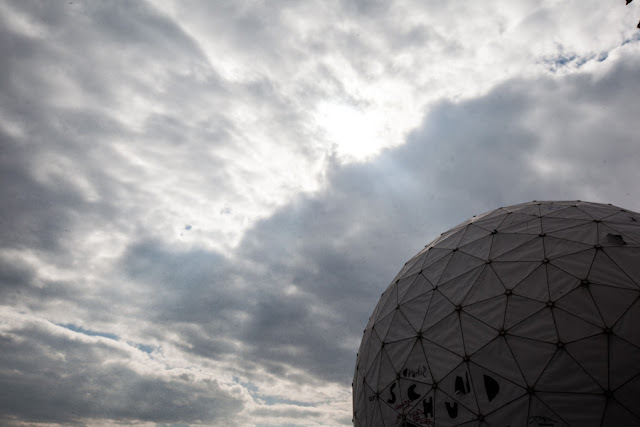 The buildings and radar domes still remain in place.